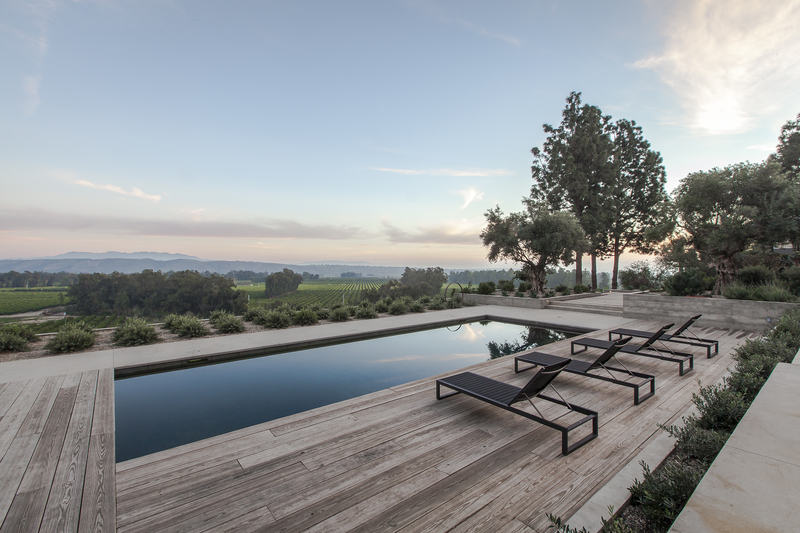 Black bottom pool overlooking agricultural fields. 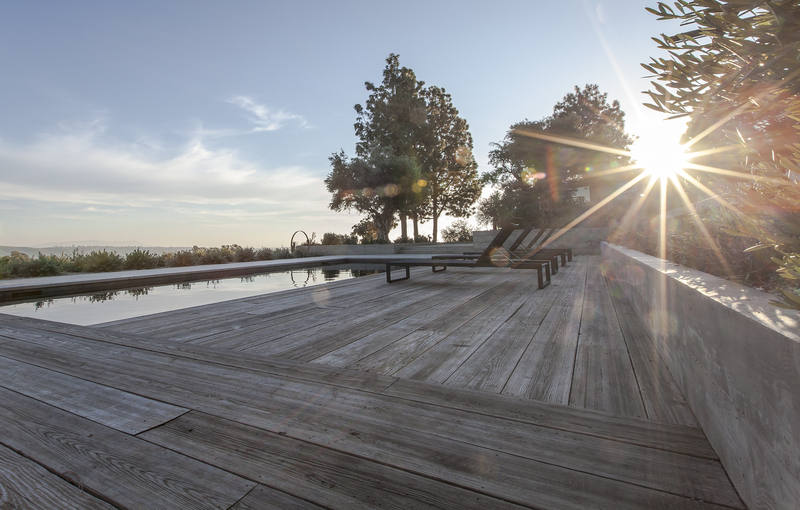 Reclaimed wood and acid etched concrete deck. 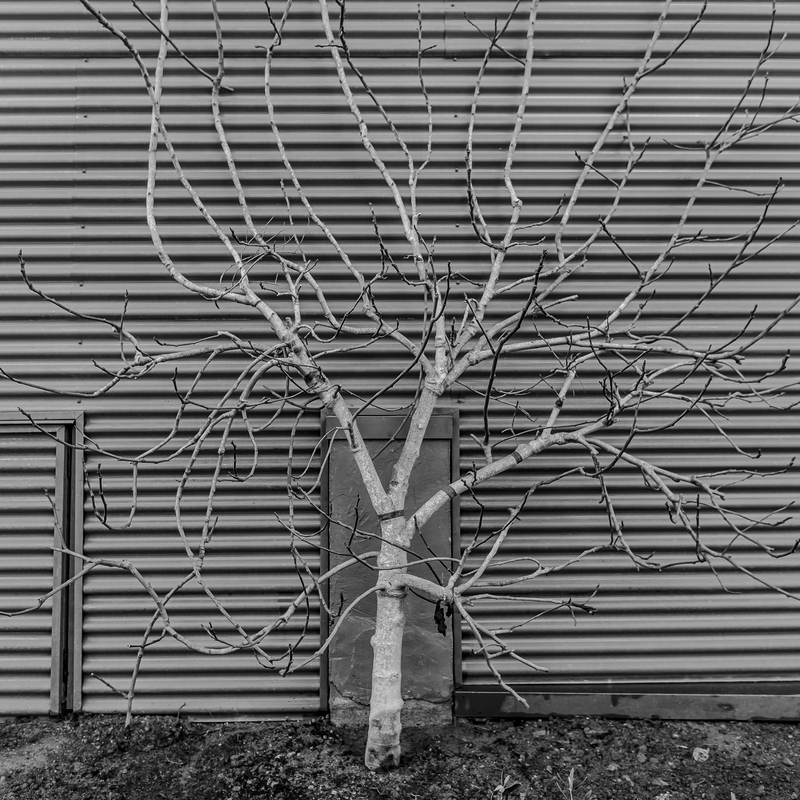 Reclaimed steel open work trellises. 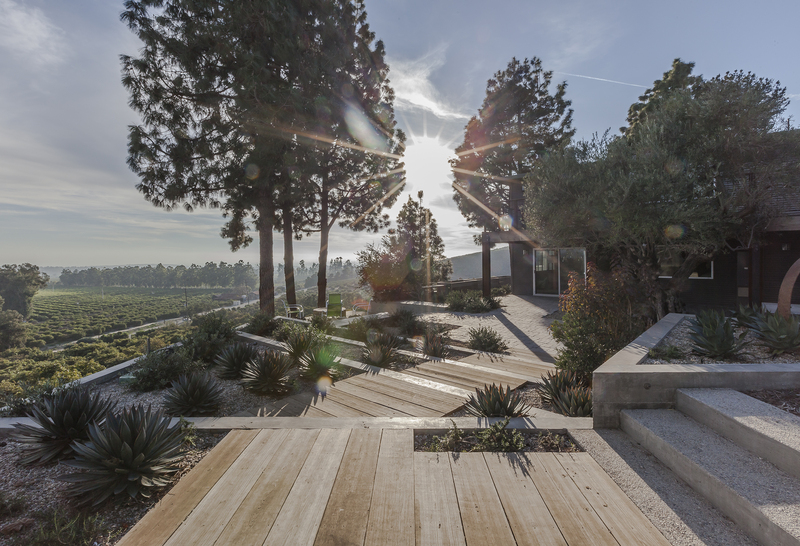 Tiered steps of concrete and reclaimed wood planking echo the planting rows of the surrounding agricultural fields. 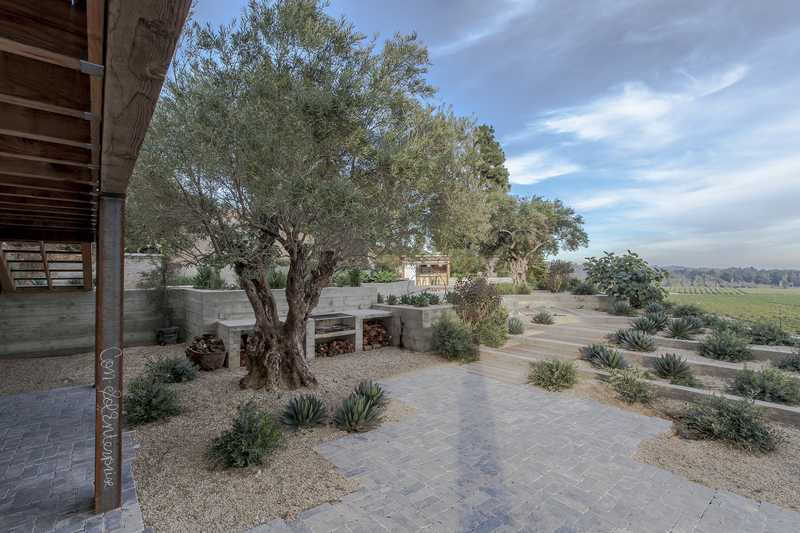 Planters, filled with agaves, dwarf olives, and fig trees, are made from board formed, cast in place concrete. 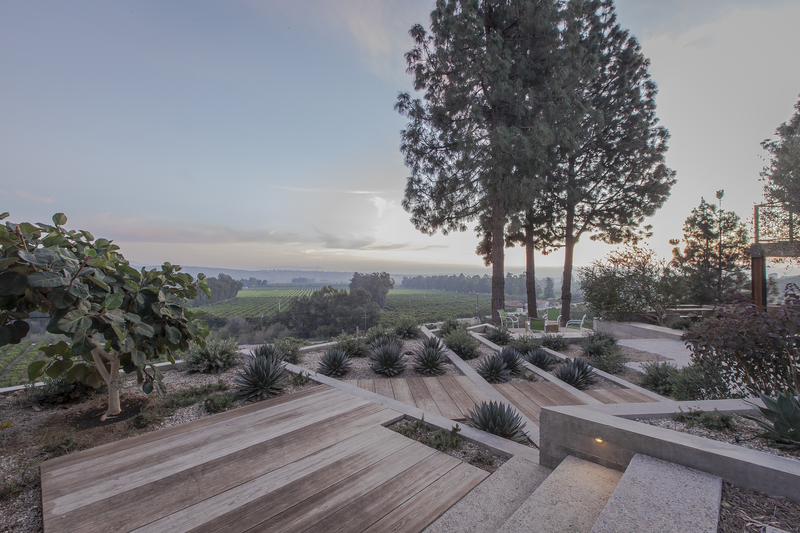 The intimate seating area shown is one of many small, room-like spaces designed into the landscape for guests to gather in small groups or to take in a private moment. 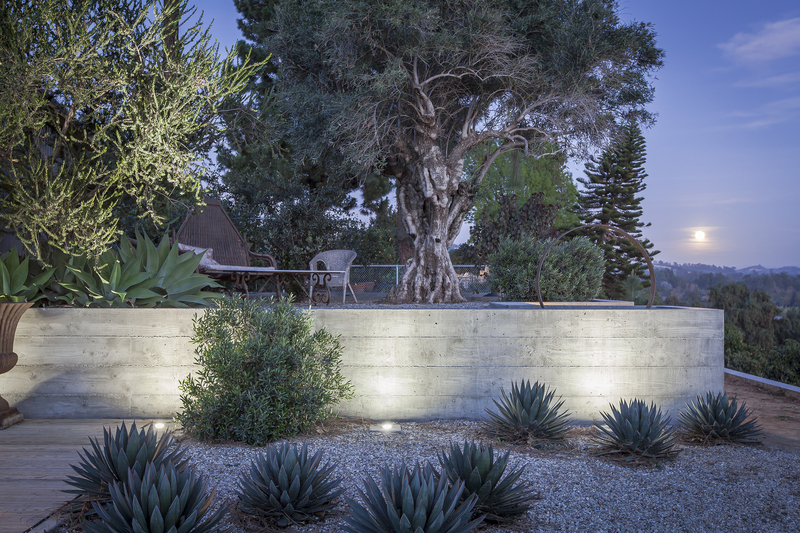 Detail of one of the many retaining walls and planters created using board formed, cast in place concrete. 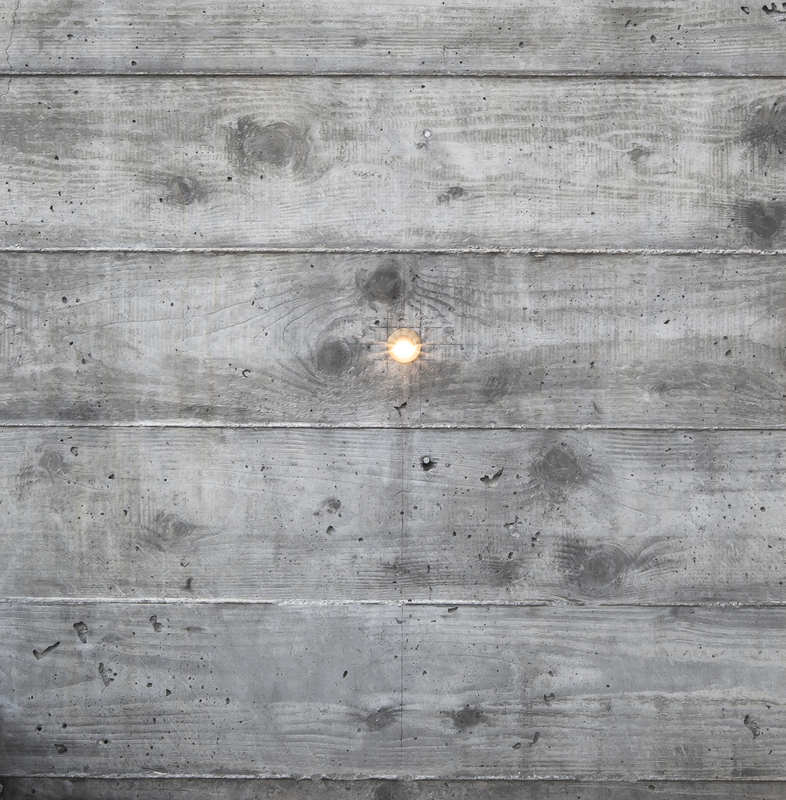 Light source is a tiny bronze fixture inset into the concrete and containing a small LED bulb. 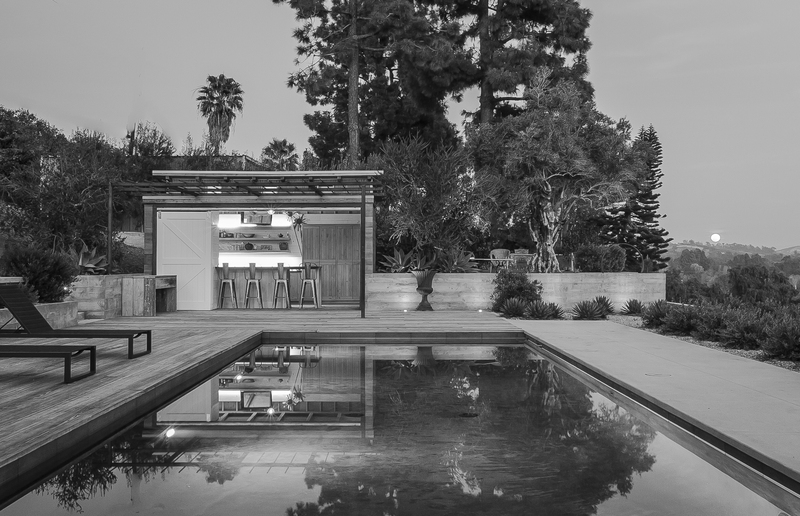 The steel trellis over the entrance to the pool house will provide shade when planted, clerestory windows let in light from above. 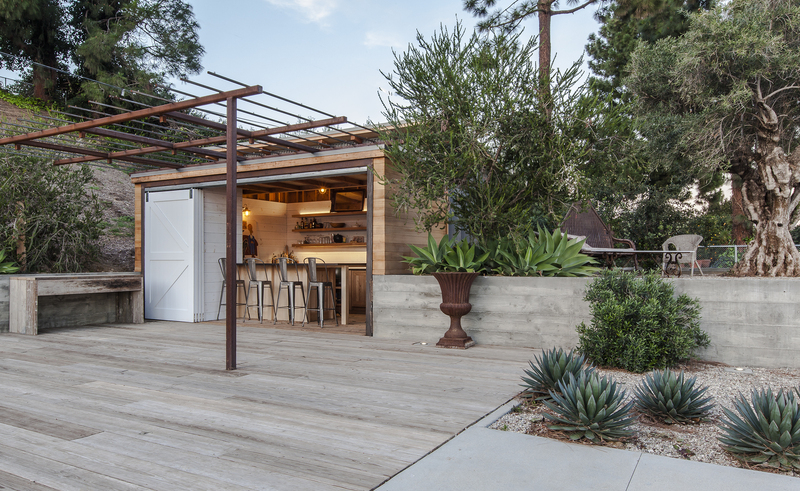 The cabana and bar also features sliding barn doors, small kitchen, flush-mount cabinets, and exterior supply cabinet. 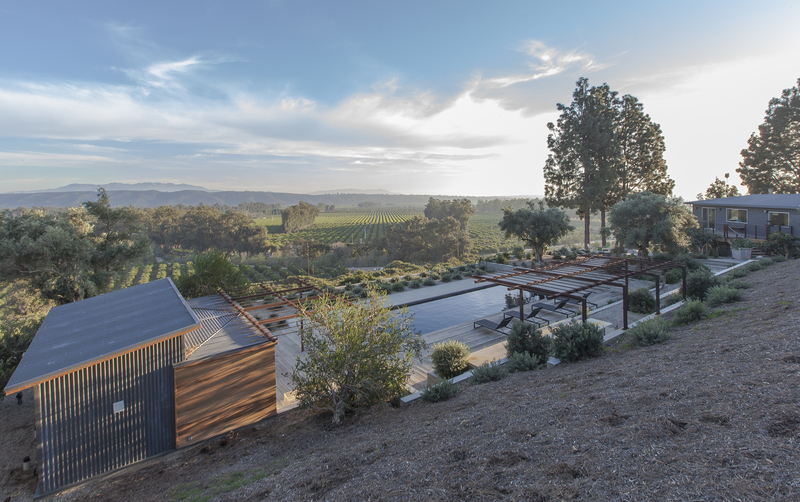 The exterior is clad in corrugated steel and high fire rated cedar. 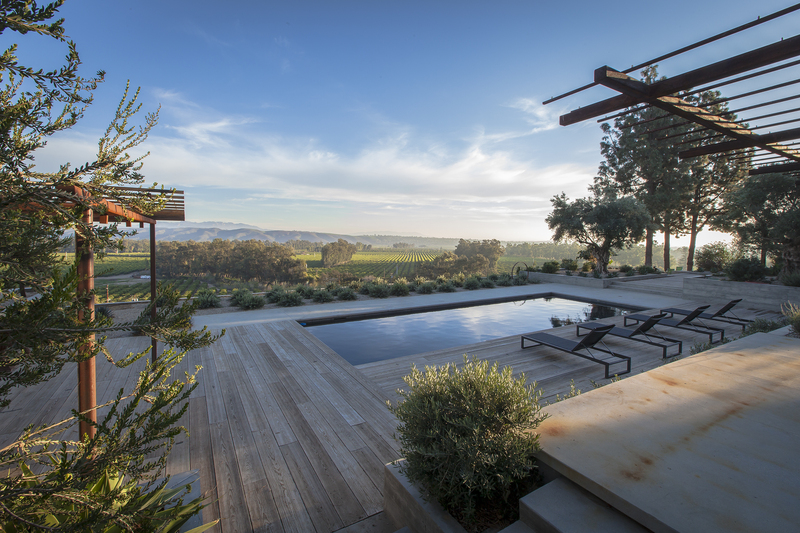 To the right of the pool house is an intimate seating area that provides privacy and shade.